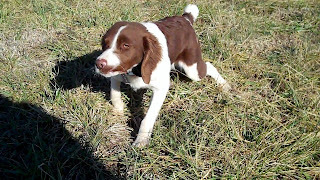 The field trial went OK. Cap, my 18 month old, found three birds and made three solid finds and retrieves. He handled well, listened to me, was bold and ran hard, too. No complaints.....well, the backing thing kind of got us us a little. I've never really pushed that to this point and will lock that in after I finish some other minor procedures unique to field trials. All in all, I am very pleased with him! My little girl, Ruby, did very well, too. An argument could be made she did better, with a larger field and stiffer competition. 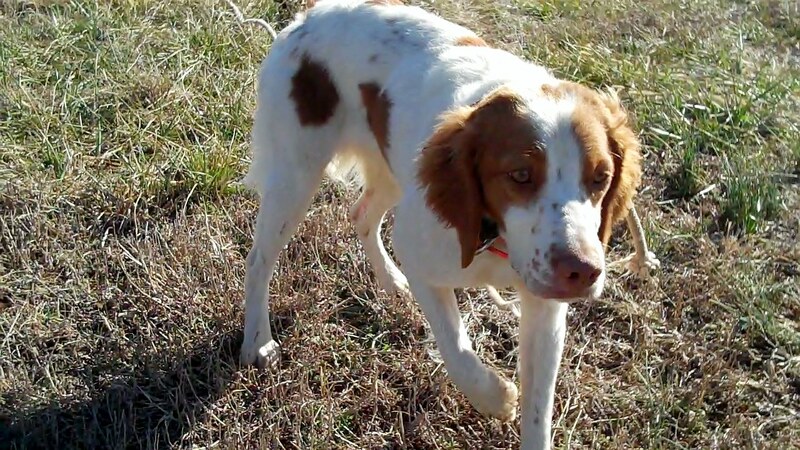 She, too, found 3 birds and made three fine retrieves. She never had an opportunity to back. Neither of these dogs have been on the a field trial field before and adjusted quickly and well. Ruby kind of slowed down after the first 2 birds, thinking, I guess, that it was time to head to the barn- lol! But, I encouraged her to head on out and she picked it up and found another bird in the last few minutes. All in all, a very nice day. This Saturday, we head back to Alabama for another few runs. This time, my main boy, Ace, will be running, too. It should be a good day again.